This wedding set was designed by IGS. The customer wanted the marquise diamond set “east-west” style as opposed to the traditional “north-south” style. 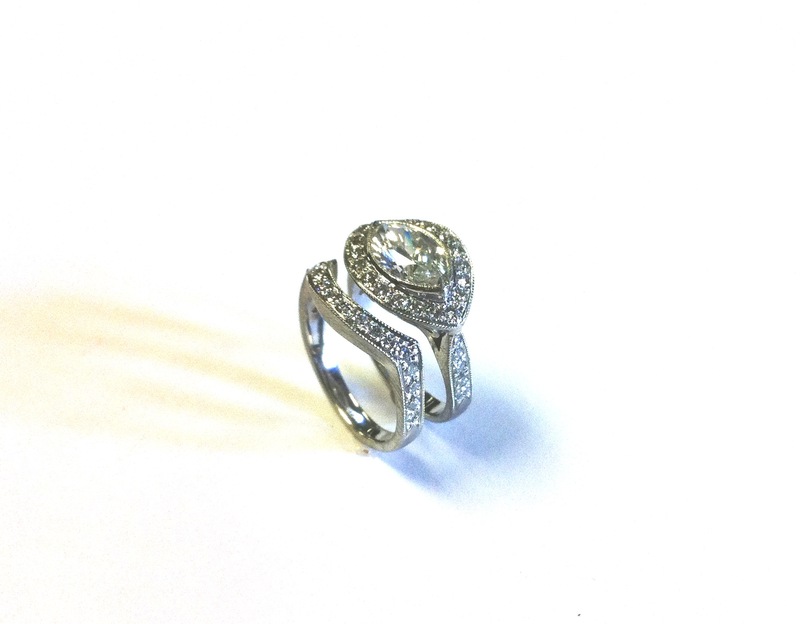 The center diamond is bezel set.